the Volvo 1800/120 Club of Australia Inc.
Volvo Car Club of South Australia Inc. 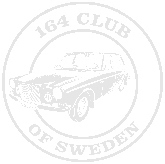 Founded in 1969 it is the oldest Volvo Car Club in Australia catering for owners of all Volvo models. H-1221 Budapest, Mehesz u. 2-4. Est. 1983. $45/year. Nice bimonthly newletter. Local chapters nation wide. Est. 1976. The dues are $30 USA, $32 Canada and $40 Foreign. All years of 1800's. Bi-monthly magazine. Chapters nation wide. Est. 1975. $20/year. Open to all year Volvo's. Please help us to keep this page up to date!